Philadelphia, PA- Bank of the United States 50 Shares Stock Certificate #5942 August 14, 1837, signed by Nicholas Biddle. 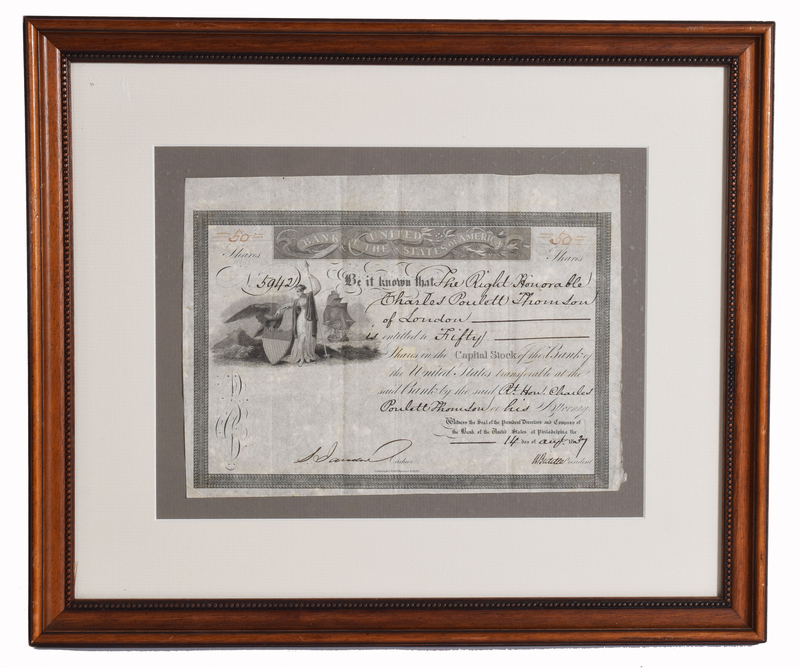 This stock certificate is payable to one The Right Honorable Charles Poulett Thomson of London. Extremely Fine. Charles Poulett Thomson, 1st Baron Sydenham GCB PC (Waverley Abbey, England, 13 September 1799 – Kingston, Canada, 19 September 1841) was a British businessman, politician, diplomat and the first Governor General of the united Province of Canada.